The Summer may have ended, but the competitions keep on coming. 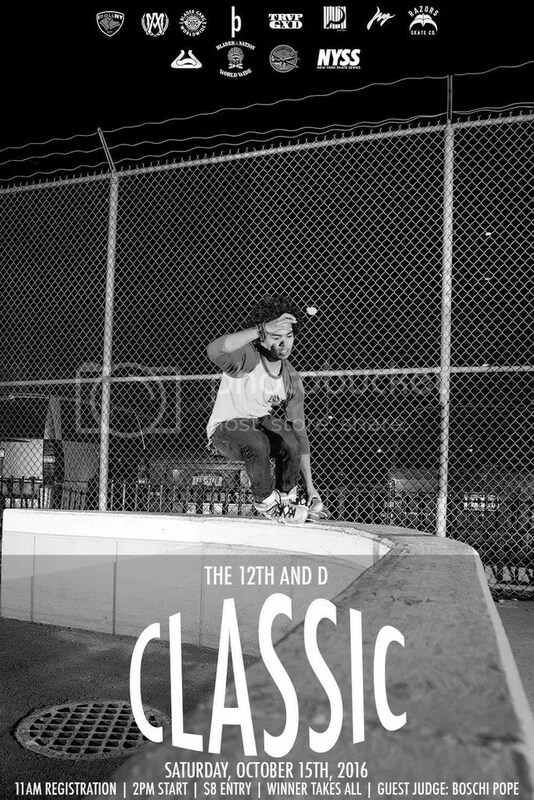 Jordan Baez is hosting the 12th and D classic in just a few weeks. Check out the Facebook event page to stay up to date and check out all the info below. Date: Saturday, October 15, 2016. Before the second annual NYC Invitational went down, the USD pro team and I Roll NY teamed up to throw a session with the pros for the local New York City bladers at Pier 62 skatepark. Featuring: Jeff Dalnas, Demetrios George, and Nick Lomax. Filmed / Edited by: Craig Benabu. Kevin Dowling has been visiting our city filming for his Olympus tour focusing on Montre Livingston and Rob G. He completed his tour video and uploaded his entry yesterday. His Olympus “Your Story” entry focuses on the New York City scene, skaters, and skate spots. Check out the video up top. Nature Skate video, One, has been uploaded in its entirety. One covers all five boroughs (Brooklyn, Bronx, Queens, Manhattan, and Staten Island) and also features sections on Boschi Pope, Austin Paz, Rafael Herrera, Ramelle Knight, Tom Lipani, Billy O’Neill, Alex Nunez, Paul Cortez, Keith Morris, Franco Cammayo, Justin Brasco, and Dustin Halleran. The video also covers the first IMYTA New York competition. Check the interview Be-Mag did recently with the Truth 2 crew. Get all the behind the scenes information, details, and thoughts from the cast and crew on the NYC and east coast scene. See the full interview below. You can also see Be-Mag’s Truth 2 coverage here. THE TRUTH 2 RECEIVED AN AMAZING RESPONSE FROM SKATERS WORLDWIDE? WHY DO YOU THINK THAT THE TRUTH 2 WAS RECOGNIZED AS ONE OF THE TOP RELEASES IN THE LAST YEAR? I suppose it could be a number of things. The industry seems to be leaning towards skater-run establishments these days. Also, more people can appreciate The Truth since we’re not connected with any company; this DVD is not a team video. We also had an all-star cast with this one. Who wouldn’t want to see a fresh section from Montre and Broskow, or a come-back Fish section? Filled with tons of NYC footage of some of your favorite local and pro skaters. Check out VG 22: Coast to Coast. “At a time of change and influence, VG22 comes with another classic. There was over a year and a half of filming and traveling that went into the making of a very special issue entitled VG22, Coast to Coast. VG22 features some of the best skating recently captured. The featured profiles include: Ben Weis (MN), Brian Aragon (CO) , Cameron Card (UT), and JC Rowe (MI). The Skate Stop this issue is a visit out to the outlaw life at JB’s house in Arizona , where there is plenty of partying and amazing spots. This is also Dave Paine’s last issue as full time editor, so enjoy a Director’s last wack at all the favorite sections that made VG so infamous. There is plenty of B Role and Bonus sections in the DVD menu, so enjoy over 100 minutes of hotness” – Dave Paine. Bonus sections here and here. The Videgroove series, or simply VG series, were the most popular videos of its time. Having more than one VG VHS tape/DVD in your collection was pretty much standard and makes you awesome in my book. For the new comers, VG’s are a definite must see. It lets you know where your favorite pro’s came from and how they started out. VG19 East Coast Volume 2 showcases the Atlanta, Minneapolis, Philadelphia and of course New York City scene. The full video was recently put online in 2 parts so check it out above. Before we got hit with all this rain Shardy Nieves met up with a few locals and filmed a few sessions at various skateparks around our city. “My homey Jared (Fetus) came out to stay with me for a week from the corn fields of Iowa to the mean streets of NYC. We took him out for a good Ol NYC Skate session before he bounced… Fun skating but more importantly we had a great time doin what we love. 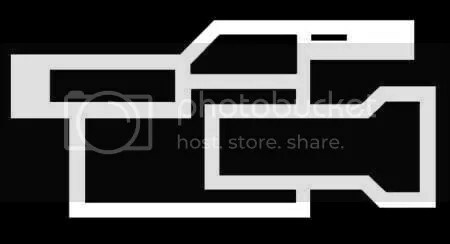 Check it out” – Shardy Nieves. Valo brand releases another teaser for their upcoming video “4 Life” this time featuring NYC. The Valo team was here during our Last Man Standing competition and caught a lot of great footage capturing our scene. Here’s a sneak peak of what 4 Life has to offer.